Join us for a captivating evening with scientist Breck Tyler and artist Caren Loebel-Fried exploring the ecology and conservation of Pacific Albatrosses. Albatrosses travel thousands of miles across ocean basins, returning to land only to nest. Midway Atoll, a tiny island in the remote Northwestern Hawaiian chain, is one of the world’s largest albatross colonies, hosting more than a million nesting birds. Sharing his experiences from 30 years at Midway, Breck will tell us about the adaptations, ecology, and conservation of these magnificent creatures. Art and stories through the ages have helped people connect with nature. With photos and videos of albatrosses from her research on Midway Atoll, Caren shares the stories behind the iconic art she created for Midway Atoll and the storybook, A Perfect Day for an Albatross. Caren aims to bring people, young and older, closer to the natural world with the hope that they will want to help care for it. Breck Tyler is a researcher affiliated with the Institute of Marine Sciences at UC Santa Cruz. His professional interests include behavioral ecology, marine conservation, and teaching undergraduate field courses. He has 40 years of experience studying birds and mammals in California, the Pacific Northwest, Mexico, Alaska, and Hawaii. Currently, he is a Project Scientist overseeing programs to monitor California seabird populations and to prevent and assess injury to marine birds and mammals during oil spills. Breck has worked as a seabird researcher at Midway Atoll since 1988. He has seen the atoll transition from naval air station to a national wildlife refuge. He has studied the nesting and population ecology of albatrosses, tropicbirds, and other species. He has conducted environmental assessments to protect seabirds from man-made hazards and non-native rodents He currently leads teams of citizen-scientists conducting annual censuses of nesting albatrosses. Caren Loebel-Fried is an award-winning artist and author from Volcano, Hawai`i. Birds, conservation, and the natural world are the foundations for her work. Caren has created seven storybooks to date, including A Perfect Day for an Albatross, published by Cornell Lab of Ornithology’s Publishing Group, Hawaiian Legends of the Guardian Spirits, published by University of Hawai’i Press, and Lono and the Magical Land Beneath the Sea, published by Bishop Museum Press. Her books received the American Folklore Society’s Aesop Prize for Children’s Folklore and the Hawai`i Book Publishers Association’s Ka Palapala Po‘okela Awards. 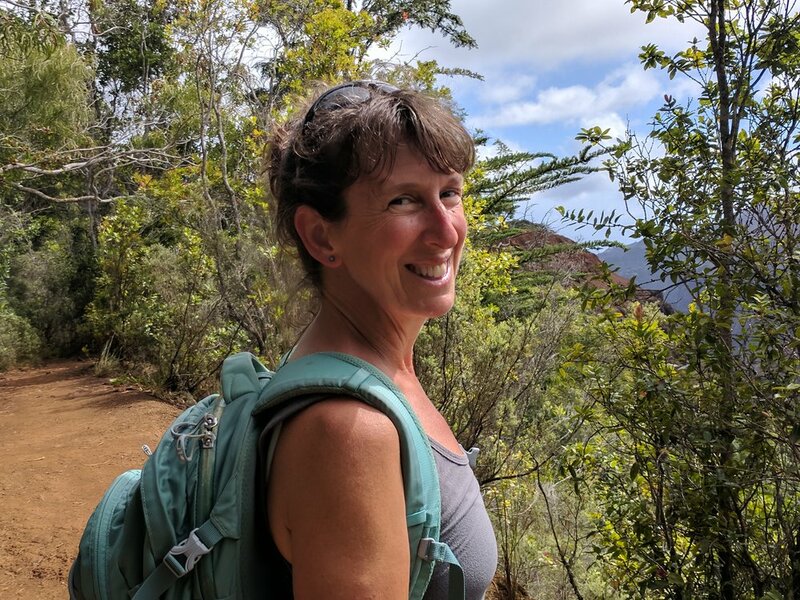 Caren spent five weeks on Midway Atoll counting and researching albatrosses, and helps many organizations in Hawai’i that work with wildlife education, forest bird recovery, and endangered seabird translocations. Caren has created iconic, educational art for United States Fish & Wildlife Service, Midway Atoll National Wildlife Refuge, Kilauea Point Natural History Association, and Conservation Council for Hawai`i. Through art and stories, Caren presents intimate portrayals of birds as individuals. After researching, developing a drawing, transferring it to a block and carving it, she pulls a black print and then adds layers of colored pencils and inks. Current projects include a story book about extinction and conservation, to be published by University of Hawai’i Press in 2020. An educational exhibit of art from A Perfect Day for an Albatross, created in partnership with the Seymour Marine Discovery Center and Exhibit Envoy, will soon be traveling throughout California.